Discussion in 'iPhone and iPad Games' started by metalcasket, Dec 9, 2014. Sneak through the shadows, dash to cover, pick your moment and strike! 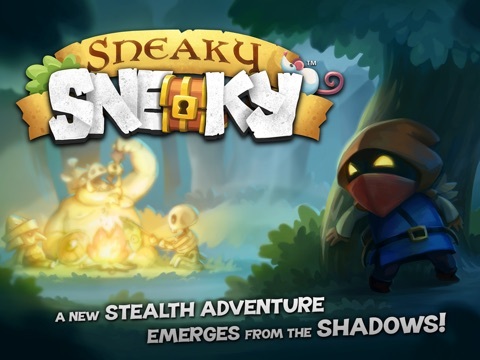 Unleash your inner thief in this strategic stealth adventure. 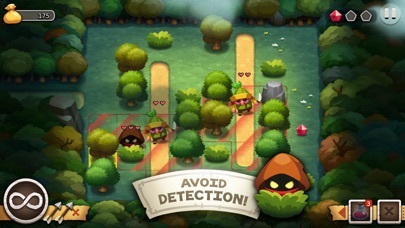 After the heist of a lifetime, Sneaky, the lovable rogue is ambushed! 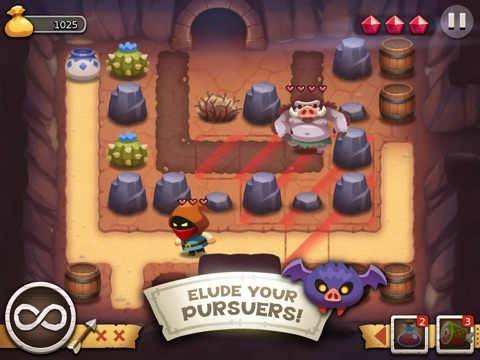 Plot, shoot, stab, and loot your way across the land to reclaim Sneaky’s twice-stolen treasure. 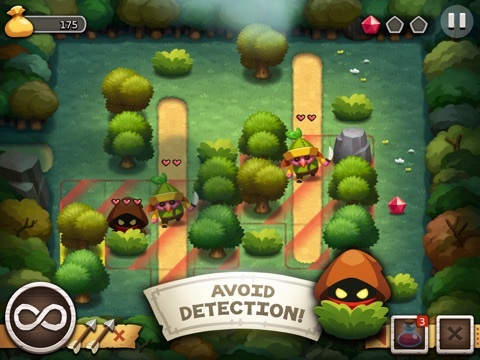 Sneaky Sneaky offers a mix of stealth and tactical gameplay. Move through the world freely, but watch your step. Getting spotted or initiating combat will trigger turn-based encounters. There is no single solution to the challenges set before you. Experiment and develop your own play style. 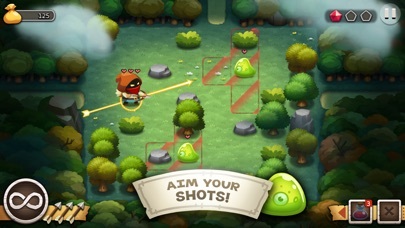 Key Features: ● Unique real­time/turn­based hybrid - When things heat up, the game slows down, giving the player time to think strategically. ● Monstrous Variety - Enemies don’t just get stronger — they get smarter. 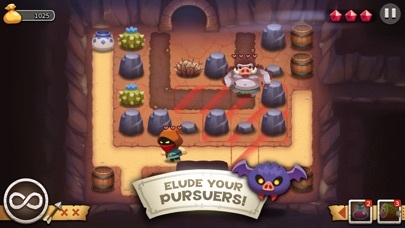 Fifteen distinct monster types will fly over obstacles, burrow in sand, destroy your cover and offer fresh challenges as you play. ● Level Up! - Your sneakiness will be rewarded. 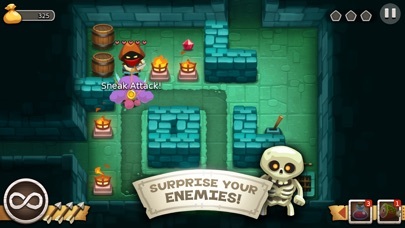 Light RPG mechanics allow you to upgrade Sneaky’s attributes as the game progresses. 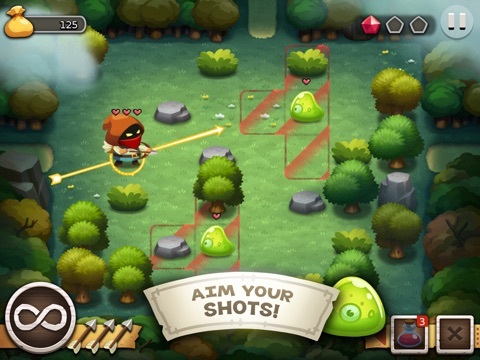 ● Powerful Items - Bow & Arrow, Monster Bait, Sleep Poison... Every item you discover allows you to play in a new way. 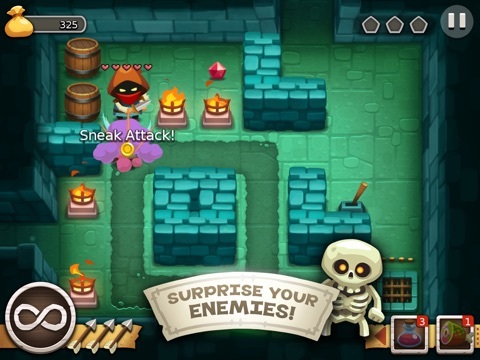 Employ the tools of a thief to gain the upper hand. ● Rich and playful 2D art style and an immersive ambient soundtrack. Woh... Really liking the looks of this! Been waiting for this more than a half year now, so bring on tomorrow. Great! I saw this on Steam a few weeks back and knew it was perfect for mobile so I immediately checked on the App Store. Thank you for posting a video, but how is Game Cemter enabled? Achievements, leaderboards, or both? I hope this week is a strong week. It appears that there are only 2 more NZ weeks until the App Store shuts down. Hoping Mini Motor Racing is still coming out this week! This will be insta buy! When will it be a available in the US? I'm guessing it'll be here in the US around 11pm tonight. Yea, this looks really good. I like that it has "light RPG". lol, I'm a sucker for leveling anything up. If I could level up this sandwich I'm eating right now, I would! Thanks for the video Sanuku! Going to pick this one up! Odd...could have been pulled. It's not on the Lebanese store (anymore) either. Gah...glad I picked it up. Out in US as of now! can someone comment on how long is the game, or if it's randomly generated stages for replayability? The description doesn't really say. Great game was looking froward to this! really weird time because I already picked my GOTY. 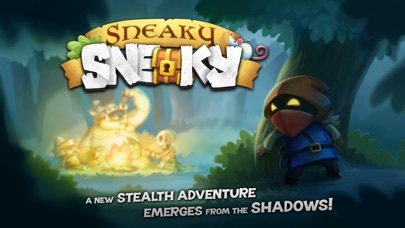 So I guess Sneaky Sneaky will be eligible for 2015 GOTY. x2 Would like to know as well before I hit the buy button.